For us, standstill is not an option! State-of-the-art measurement methods are the basis of the most precise optical lenses on the market. Lenses made using the ZEISS-pioneered i.Scription technology are manufactured specifically for you with an accuracy of within 1/100 of a diopter – whether these are single vision or progressive lenses! Using objective measurements as a basis, we can not only determine the strength of your lens to within 1/8 of a diopter; with the i.Profiler plus, we also generate an exact profile of your eyes. Even the smallest irregularities are detected and taken into consideration during the making of your customized lenses. You can find more detailed information regarding the eye examination under the “Services” heading. In addition, we employ the latest ZEISS-pioneered centration technology. With the help of the i.Terminal 2, the ideal position of the eyeglass frame and lenses can be calculated to the nearest one tenth of a millimeter. This guarantees that you can truly make 100% use of the optical performance of your new lenses. Accuracy is paramount and we aim for the highest standard of vision for you. 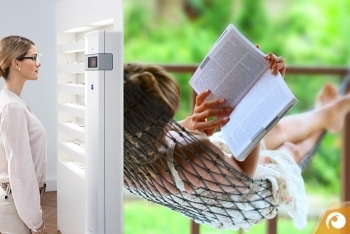 We are your ZEISS Relaxed Vision Center. 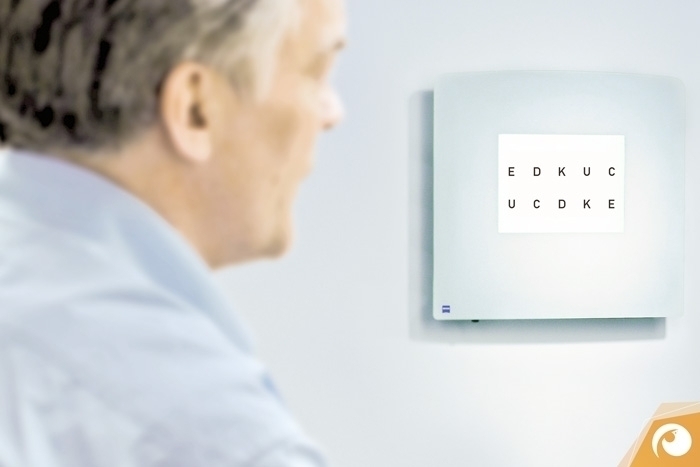 ZEISS’ latest measurement technology is much more than a conventional computer-based eye exam. It not only measures the objective lens values but also creates, based on over 2.500 measurement points, a customized profile of your eye. 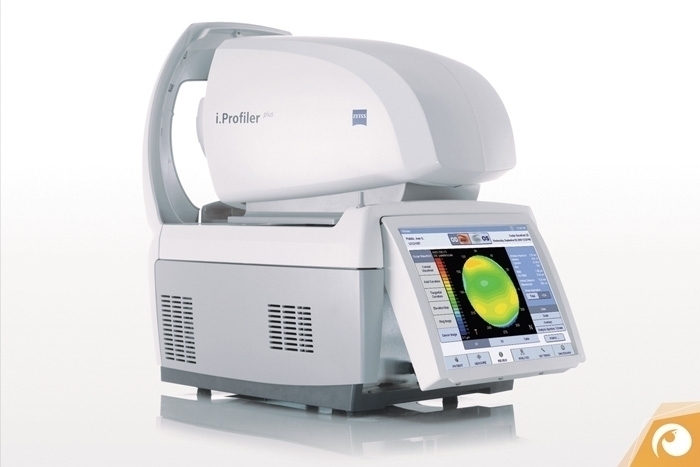 To achieve this, an infrared point of light is used to strike the retina; the reflected light is then caught by the i.Profiler plus. As it travels, this light experiences individual deviations, which are recorded and analyzed. Along with changes in the size of the pupils and the varying vision quality that this entails during daylight, dusk and night hours, visual defects that could negatively impact vision under poor light conditions can be detected and optimized. 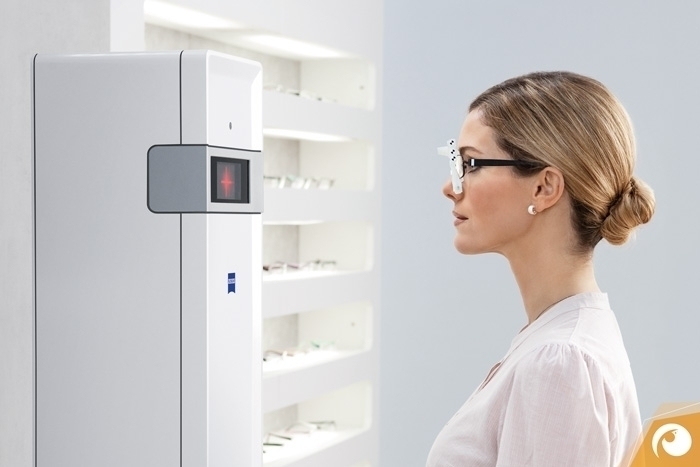 Visuscreen 500 by Zeiss is the most advanced vision testing technology for a subjective determination of the lens strength you need. A vast number of vision tests can be performed using this digital vision testing technology and the i.Polatest. We are thus equipped to accommodate highly individual needs when administering a professional eye examination. Indeed, good vision is more than just a clear image in the right eye and a clear image in the left. For optimal visual comfort, a decisive factor is relaxed interaction between two eyes with sharp vision. And to accomplish this, we make use of the diversity and customization features offered by Visuscreen 500 and the i.Polatest. In all areas of eyeglass manufacturing, precision is paramount. That is why it is possible today, using cutting edge centration measurement technology, to specify the data that is vital to producing the best possible eyeglasses – and this down to a tenth of a millimeter! With the help of i.Terminal 2, two pictures of you wearing your eyeglass frame are made. These two pictures allow an exact determination of the distance between your eyes, your perspective point as well as the curvature and angle of your eyeglasses vis-à-vis your face. All of these measurements are factored into your optical lenses to warrant significantly enhanced vision comfort. The better customized your lens is, the higher your vision quality will be. This applies especially to eyeglass wearers with high values. The Relaxed Vision Concept by Carl Zeiss, along with our professional expertise, gives you the chance to make full use of the possibilities offered by the most advanced eyeglasses available today. 0 Shares until now. Thank you!